Merkel: Any access to collective lawsuits would have to be "properly designed." 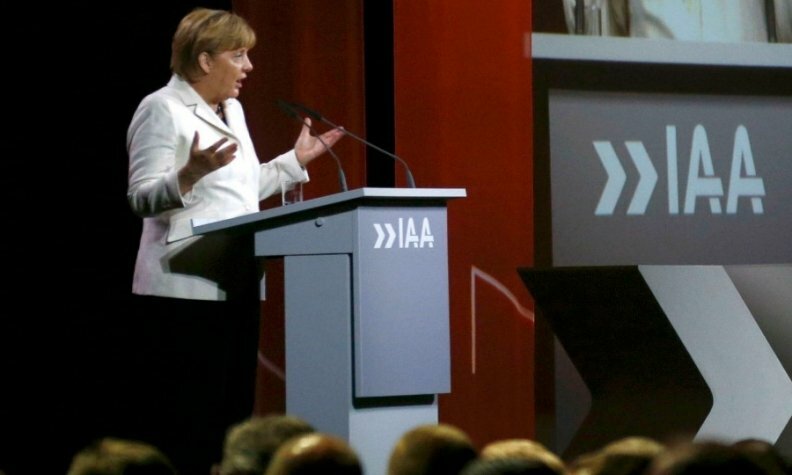 BERLIN -- Chancellor Angela Merkel said car buyers could get collective lawsuits against Germany's auto industry over excessively polluting diesel engines, sharpening her tone after her main election challenger accused her of blocking the option. In an interview with national broadcaster ZDF, Merkel said Germany allows plaintiffs to bundle lawsuits against financial companies and the same rights could be offered to car buyers if done right. Her comments open the possibility that legislation could be put forward after Germany's election on Sept. 24 and the formation of the next government, which Merkel wants to head. "Yes, in principle," the chancellor said Sunday when asked about a demand by her main opponent, Social Democratic leader Martin Schulz to allow car owners to collate complaints against carmakers. "But it has to be properly designed." Four weeks before the election, the proxy exchange between Merkel and Schulz in dueling television interviews was part of the buildup to their only campaign debate on Sept. 3. Schulz, whose Social Democrats have been Merkel's coalition partner over the past four years and are trailing in the polls, stepped up his attacks on Sunday on a range of topics including Europe's refugee crisis and relations with Turkish President Recep Tayyip Erdogan. Germany's diesel crisis, set off two years ago by revelations of emissions cheating by Volkswagen Group in the U.S., has become a campaign issue as Merkel's government faces pressure to ward off court-ordered diesel driving bans and avoid a collapse in diesel-car sales. Schulz, who doesn't have a position in Merkel's administration, told a campaign rally on Friday it's the government's job to avoid driving bans. In an interview with ARD television on Sunday, he accused Merkel's chancellery of blocking collective lawsuits against the auto industry. "The individual consumer who drives a car and has to make his case against Volkswagen or Daimler is lost on his own," Schulz said.